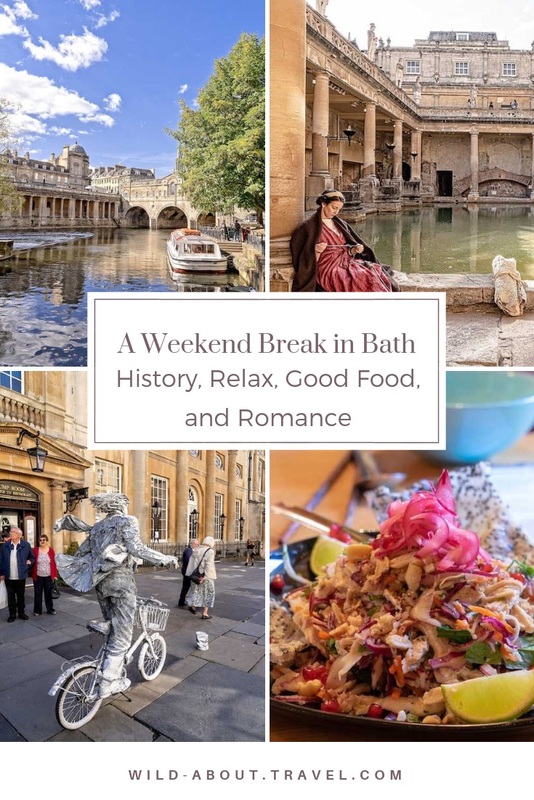 A weekend break in Bath is a perfect choice to combine history, a bit of pampering at the Spa, excellent food, and a touch of romance. Great Britain is famous for its unstable weather and I could hardly believe in my luck. A perfect, cloudless azure sky, and an unusual warmth at the end of September. Sitting in the car driving me from Bristol airport, the forehead glued to the window, I watched the smooth hills flowing, feeling a thrill of anticipation. I set foot in Bath, and it was love at first sight. I was glad to have time not only to visit the main sites but also to enjoy and savor the atmosphere. Surrounded by verdant rolling hills, Bath is deep-rooted in history and a UNESCO World Heritage Site since 1987. It was founded in the 1st century AD by the Romans, attracted by the hot springs. By the end of the Middle Age the baths were poorly maintained. However, during the Elizabethan era, Bath revived as a Spa city. During the 18th century, Bath was given its current urban design. The elegance of the Georgian houses integrating with the landscape marked the renaissance of the city, which became a fashionable destination for the English high society. Classic English literature buffs might remember that Jane Austen lived in Bath from 1801 to 1806, at a time when the British high society flocked the city. Bath celebrates Jane Austen at the Jane Austen Centre and with a few commemorative plaques, although according to some historians these were not very happy years. 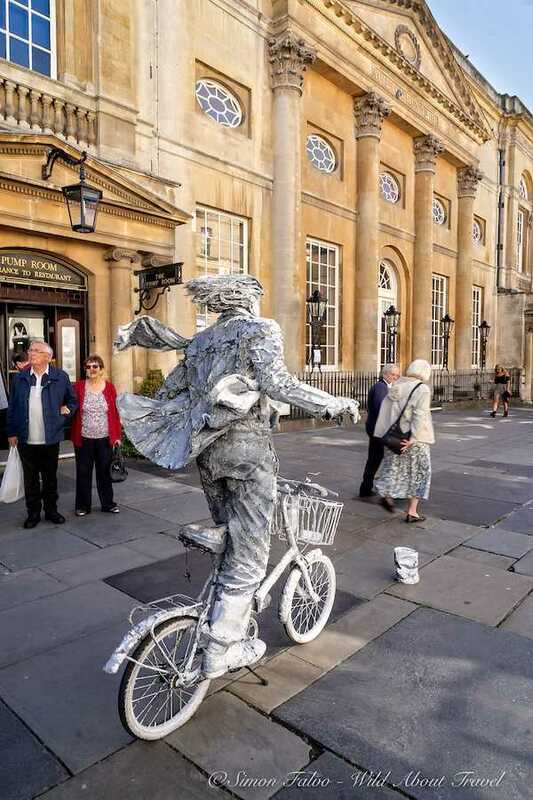 What to first do and see in Bath may vary depending on your arrival time, the season, and the weather. It’s also up to your tastes and what you like most. There are a few places that are a must-see, other activities you might decide to skip. What counts is having a good time, and Bath has all the ingredients to spend a couple of unforgettable days. I always say that you haven’t seen Milan if you don’t visit the Duomo, and the same applies to Bath. You may not have enough time for a weekend break in Bath but only a few hours. Then, let the Roman Baths be your first visit. 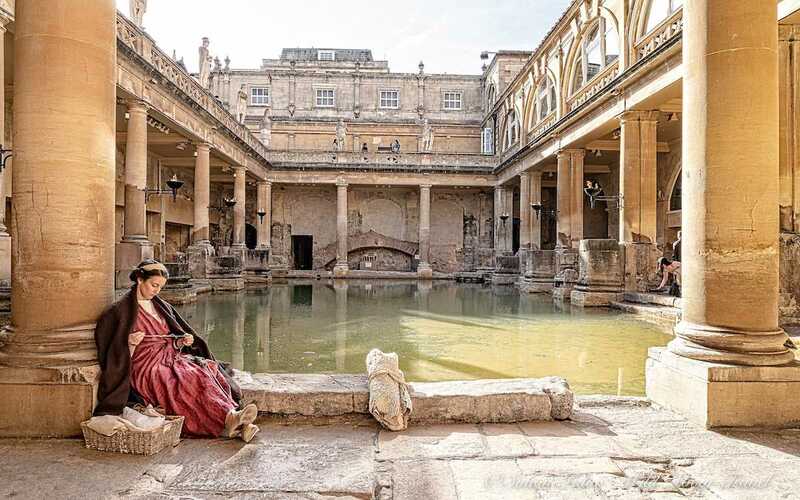 The Romans called the site where they built the baths Aquae Sulis, the waters of Sulis, from the Celtic divinity Sul who they identified with Minerva, the goddess of wisdom, arts and, later, war. The Roman Baths are one of the best preserved Roman sites in Northern Europe, and they marked the beginning of the city’s history as a Spa. Neglected during the Middle Age, the baths were returned to their splendor and significance in the 17th Century. I could see and feel the magnificence of the Romans Baths immediately, as I walked along the entrance way overlooking the Great Bath. This entrance was built later, and offers a scenic perspective of the pool, with its emerald green water, surrounded by columns running all around, and on the background at the opposite side the Bath Abbey. Nothing is spoiling the view, making it a picture perfect spot. Although the Great Bath is the highlight of the site (and likely, the most photographed spot in the city), you need to spend some time walking across the different rooms, listening to the audio guide and reading the very informative panels, to fully understand the extent of the Romans’ architectural and engineering genius. Gothic is a beautiful architectural style, and it’s interesting to see how differently it developed and was interpreted across Europe. 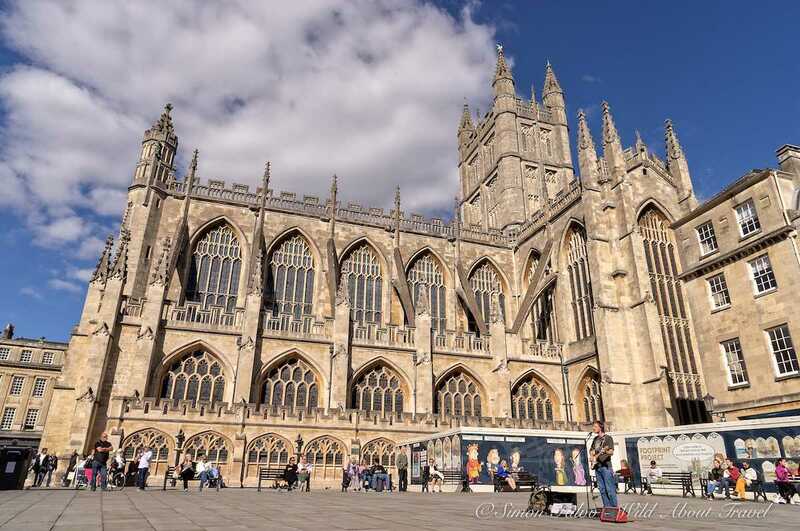 Bath Abbey, built in the 16th Century, is a beautiful example of the late Perpendicular style, somehow similar to the French Flamboyant gothic like the gorgeous Saint-Maclou in Rouen. The ample windows typical of the late Gothic architecture make the Abbey’s interior much lighter than earlier churches, enhancing the gracefulness of its elegant pillars and the stunning decoration of the vault, looking like intricate and delicate lace. 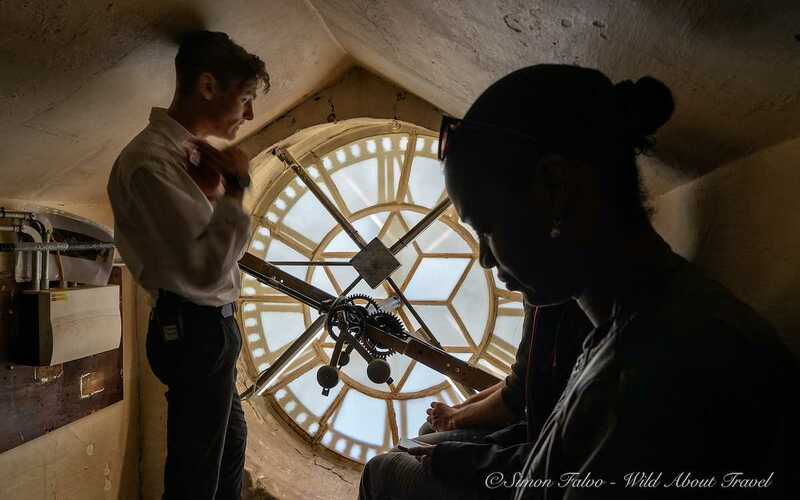 Don’t miss to visit the bell tower and to sit behind the clock, while listening to the excellent young guides telling informative and entertaining stories. As touristy as it may sound, the sightseeing bus is an excellent way to get an overview of a city, all the most if you only have limited time. In Bath, there are two itineraries. 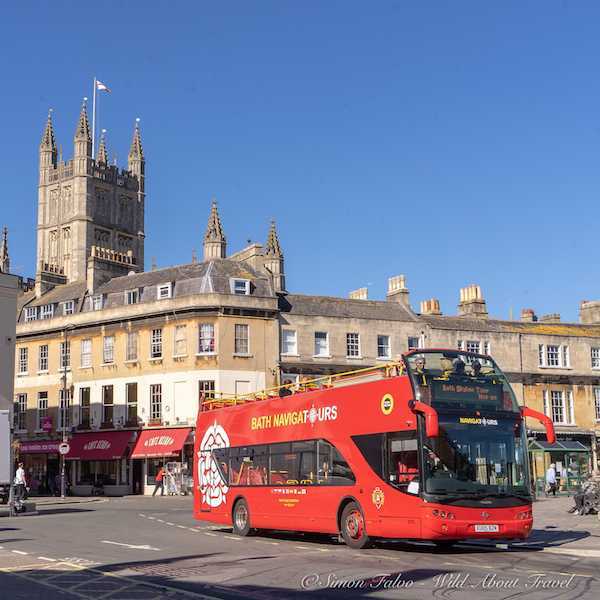 The City Route takes you through the most important sites and attractions: the Royal Crescent and Circus, Bath Abbey, Pulteney Bridge, and the superb Georgian architecture. 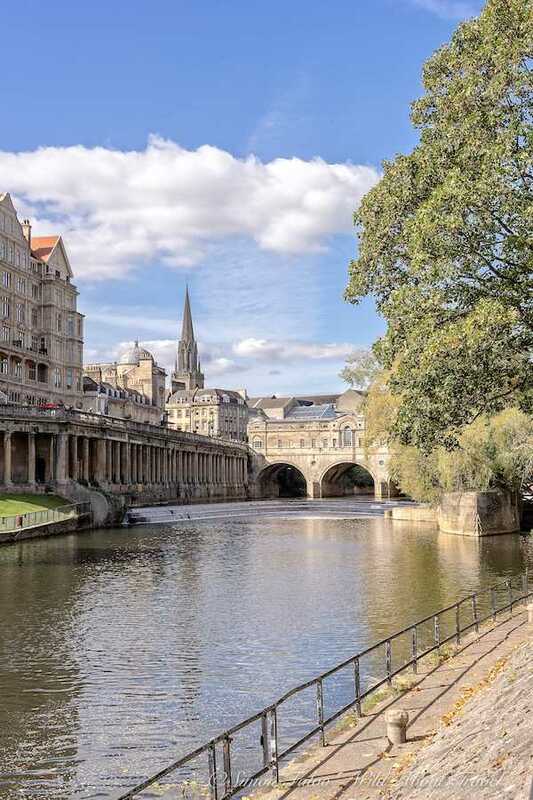 The Skyline Route drives you through Bath’s beautiful surroundings: the gentle hills dotted by elegant old houses and exquisite contemporary villas. I enjoyed them both since they give a comprehensive perspective of the city and its surroundings, and how it (mostly) developed in harmony with the landscape. 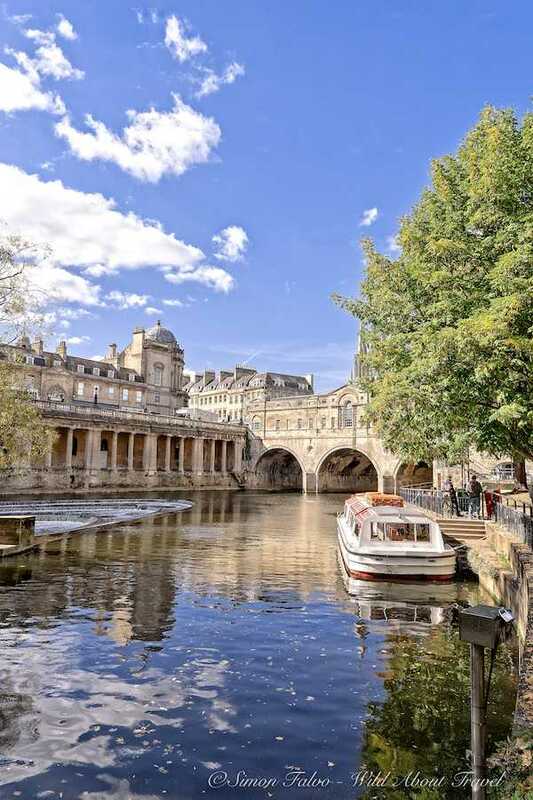 You can use the 24 hours tickets over two consecutive days, so if you’re having a short break in Bath, you can take full advantage of both itineraries and have multiple stops along the way. There’s no place in Bath like the Royal Crescent to admire one of the finest examples of Georgian architecture. Designed by British architect John Wood the Elder and built between 1767 and 1775, the Royal Crescent’s large curved facade opens on an ample manicured green lawn which overlooks Royal Victoria Park, marking a brilliant integration of the building with the landscape. I had a stroll in the late afternoon when the setting sun enhances the local golden colored Bath stone, used to build most of the elegant buildings. The beautiful Royal Crescent has been a location for several period drama and films, like the acclaimed The Duchess, in 2008. The Circus, also designed by John Wood the Elder, is another Bath landmark. Looking at the Circus, with its four houses forming a circle round a lawn, you can understand the strong influence of ancient Roman and Italian Neo-Classical architecture on Georgian style. Aside from its beauty and elegance, Bath impressed me for its lively atmosphere. Sometimes, Spa towns are a bit dull. Visitors are mostly elderly people interested in the hot springs’ therapeutic benefits, and looking for relaxing and quiet. 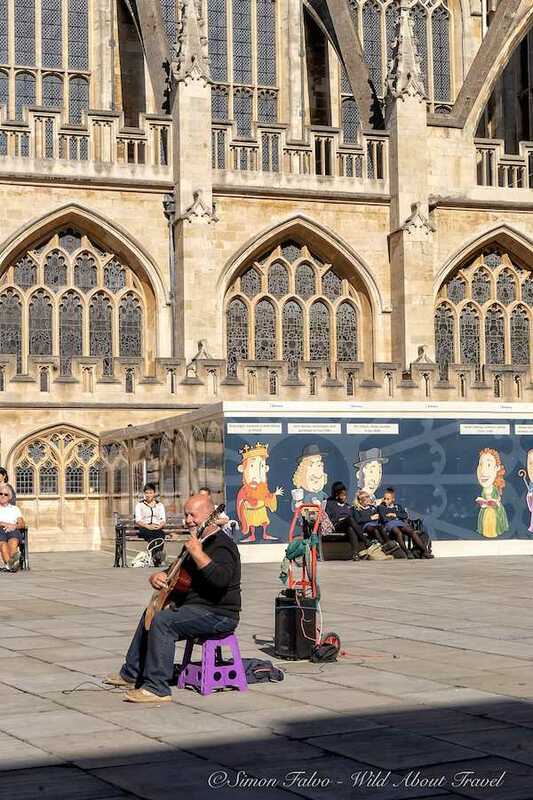 Not so in Bath, where you stumble into musicians and other street performers at every corner. I had a lovely time resting now and then on a bench, listening to different music genres, looking at the beautiful buildings, and people watching. If you’re planning a romantic break in Bath, you may want to experience a sunset hot air balloon ride, sipping a glass of Champagne while watching the city and the hills from above. 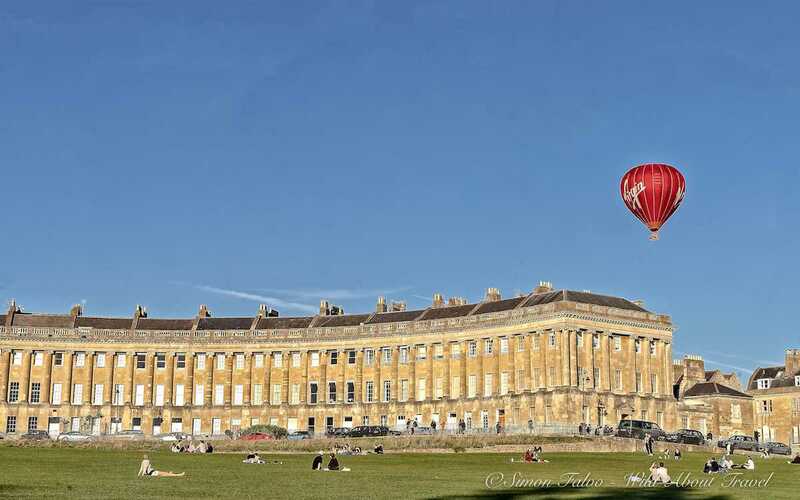 I saw the balloons gently floating in the sky while I strolled at the Royal Crescent and could only imagine how exhilarating must be the view of Bath while the sky and the Georgian buildings are turning orange and red. A weekend break to Bath wouldn’t complete without treating yourself with a bit of relax and pampering at Thermae Bath Spa. After all, Bath is the only city in Great Britain where you can bathe in natural hot spring water in four baths: the Cross Bath, the Hot Bath, the Minerva bath and the open-air rooftop pool from which you have beautiful aerial views of the city. 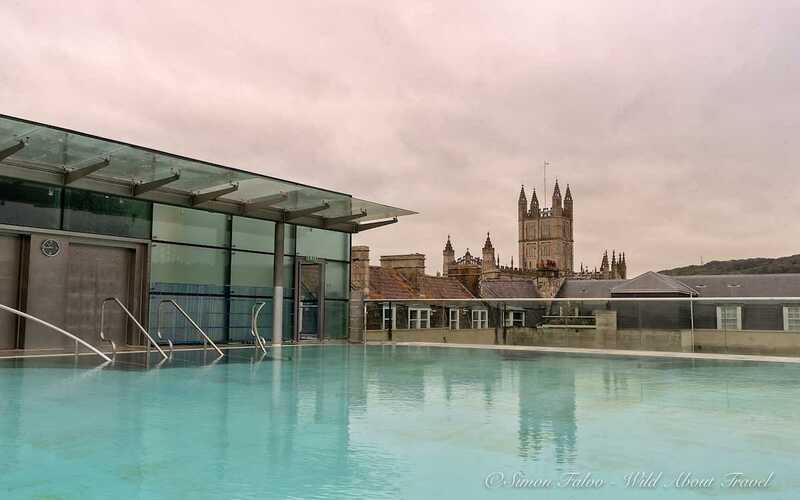 Wellness at the Thermae Bath Spa means enjoying the natural hot springs and more. There are also steaming rooms, saunas, a relaxation room. And if you want more pampering, you can choose between several treatments: massage, hot stones therapy, body care, and facials, etc. 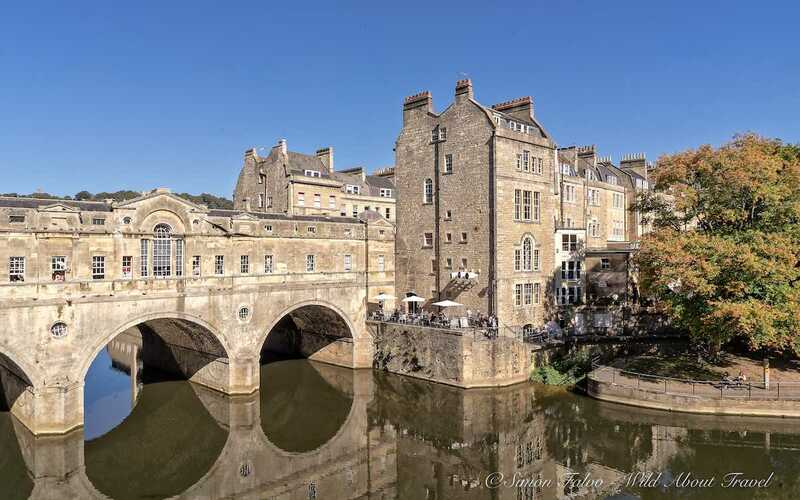 A short break in Bath must include a stroll around the beautiful Pulteney Bridge, another iconic landmark. The bridge was built in the 18th century in neo-Palladian style following the designs of Robert Adam, who inspired himself from Ponte Vecchio in Florence and the Rialto Bridge in Venice. Indeed, Adam mostly followed Andrea Palladio’s drawings for the Rialto Bridge, rejected at the time. It became one of the four bridges in the world housing shops on both sides. To get the best views of Pulteney, take a walk in the lush Parade Gardens. To come back, follow the pretty river walk along the Avon on the opposite side. Italians can be rather picky about food when traveling abroad and I found Bath food scene impressive. 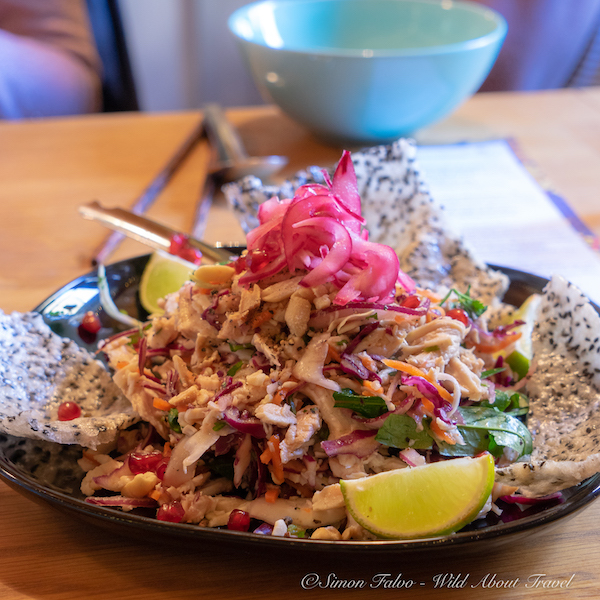 I tasted terrific Vietnamese food at Noya’s Kitchen, savored contemporary British cuisine at the Ivy Bath Brasserie, and loved the creative vegetarian dishes at Acorn Vegetarian Restaurant, where the plates are a feast for the palate and the eyes. If you like gelato, you must stop at Swoon. It’s as delicious as in the best gelaterie in Italy! 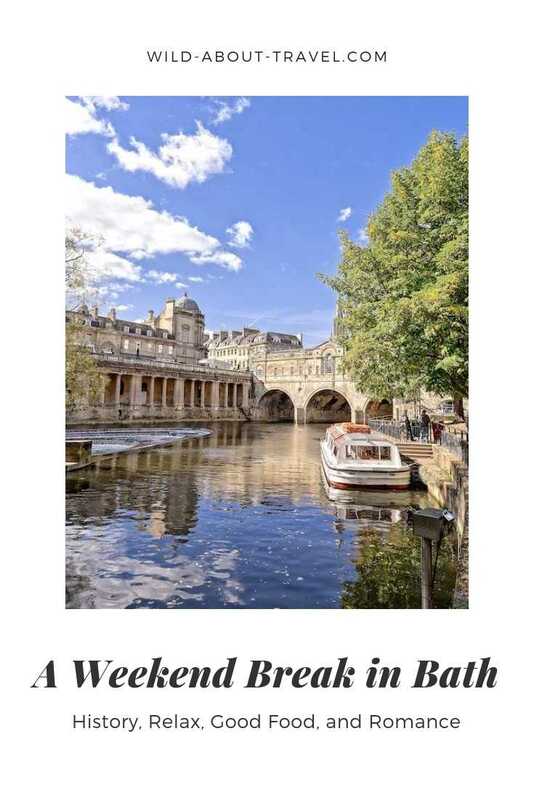 How does a weekend break in Bath, or a short romantic stay, sound? The closest airport is Bristol, which has direct flights from/to several cities in the UK and Europe. Bristol Airport has a regular bus service to Bath (every 30 min. ), and the journey takes about 50 minutes. You can also travel from London to Bath by train. The journey from Paddington takes about 90 minutes. The city is rather small, and you can walk around everywhere in the city center. If you don’t have much time or you don’t feel like walking too much, the Sightseeing bus is the best option since it allows you to hop-off and on at the most interesting spots. I stayed at the No. 15 Great Pulteney, a quaint boutique hotel with a unique character close to Pulteney bridge and the Holburne Museum. The Bath Priory Hotel and Spa is a luxurious country house surrounded by a beautiful 4-acre estate, less than 2 miles from Bath Abbey. It features a lovely spa and a favorite restaurant. Located in the Royal Crescent, the 5-star Royal Crescent Hotel & Spa is decorated in the style of the 18th century. The hotel features an award-winning restaurant, a cocktail bar, a gym and a beautiful spa overlooking a landscaped garden. Gainsborough Bath Spa – YTL Hotel features a naturally heated spa, a restaurant, and a bar. 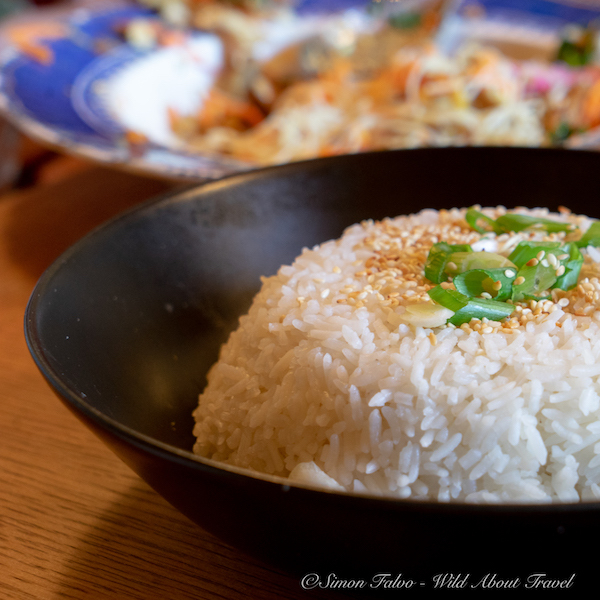 Noya’s Cuisine – This is the place to go if you like Asian and Vietnamese cuisine. At this cozy small joint, you’ll discover Noya’s dishes, lovingly prepared with seasonal ingredients and local products, which are a feast for the eyes and the palate. 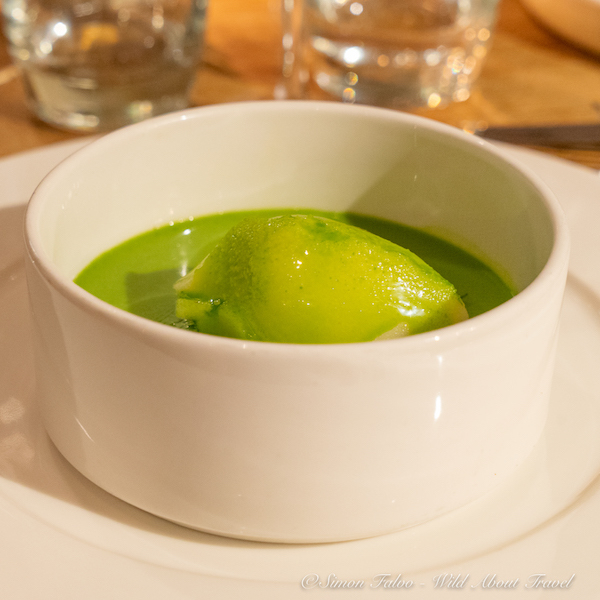 The Ivy Bath Brasserie – British contemporary cuisine in an elegant setting. Acorn Vegetarian Kitchen – A small and cozy restaurant, serving delicious vegetarian dishes made from the best fresh local products. The colors and presentation are beautiful. I was invited by Visit Britain, Visit Bath, and Visit Bristol to discover the beauty of Bath and Bristol. All opinions, as always, are my own. Note: This post contains affiliate links to carefully selected products and services. This means that if you make any purchase, the price for you is the same while I earn a small commission that helps me run the website.